This is Leah Giberson's latest archival giclee print of a beautiful painting she completed in late 2009. The original was painted with acrylic on top of a cut up printed photograph and canvas mounted to a wooden panel. The original photograph by Terry Bone can be seen here. 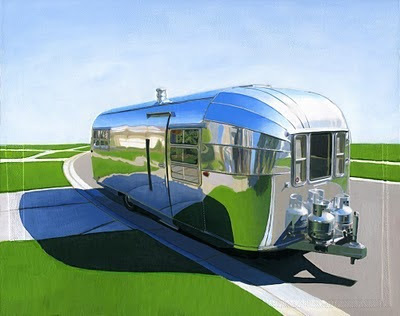 Check out my posts on Leah's mid-century modest works here and one on a pretty amazing Airstream refresh here. Thanks so much for posting about my work. So happy to discover your bog.